How to Change account settings in Windows 10 ? 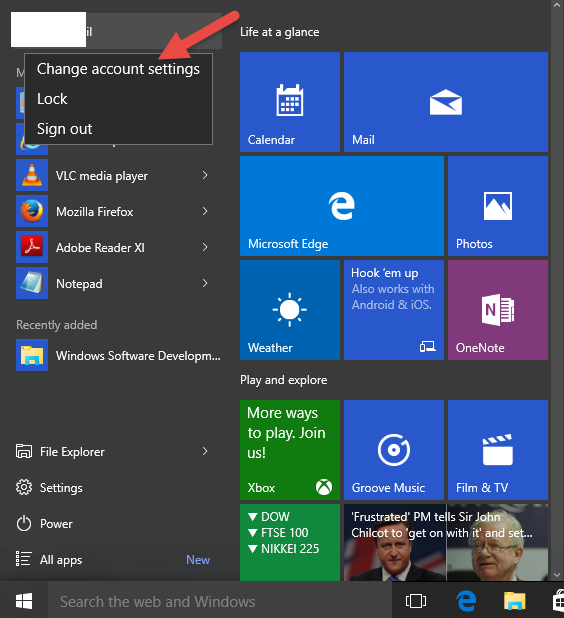 You can change the account settings in Windows 10 easily from the Your account screen from the Accounts app. 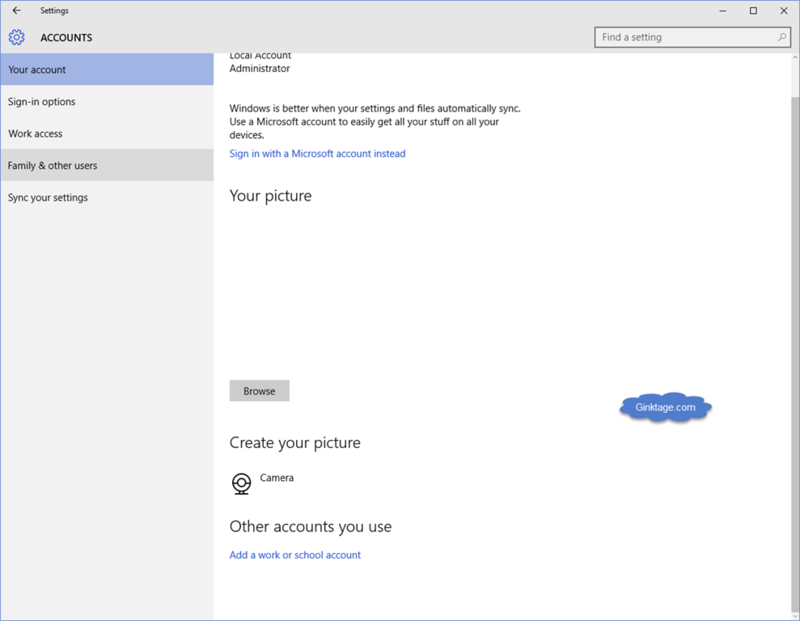 The accounts screen lets you to change your picture , account details (sign in with the Microsoft account or switch to local account) and lets you add a work or school account as well. From the start menu of your Windows 10 PC , select user name in the top left corner . This would display options like “Change account settings” , “lock” and “sign out” . Select “Change account settings” from the list . This will open the Accounts App and take you to the “Your Account” page which lets you to change your account settings. Alternatively , you can select the “Settings” App from the start menu and navigate to the Accounts screen as well.